Such a beautiful state. But with the beauty and sometimes up to 94 per cent of the land owned by the government, there is at times little phone, internet, or any other kind of signal. 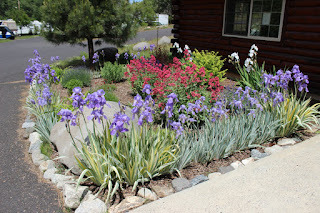 Thus, a huge delay in our finding a place to send out this blog chapter(now from outside the Challis, Idaho library. Idaho has so many things to offer. 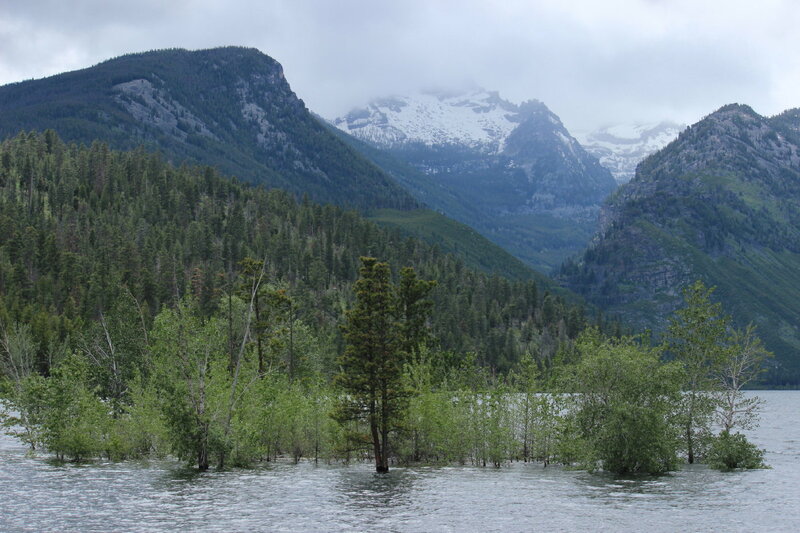 How can we complain when we had this view from our back window at Buttercup Campground on Cascade Lake. We were the only ones in the campground. 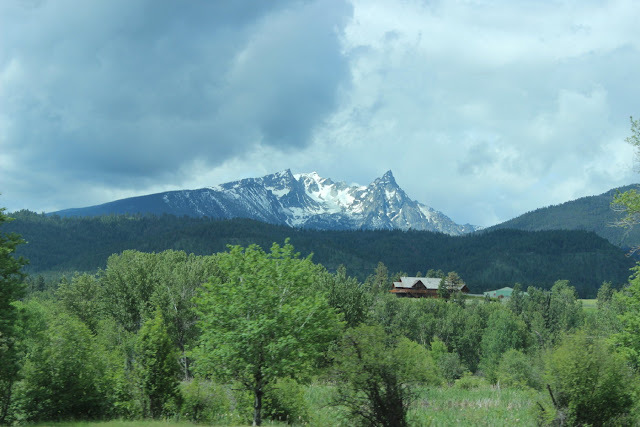 From Cascade Lake in Donnelly, Idaho, we travel north on Route 55 through McCall and on to Route 95 and the Little Salmon River. 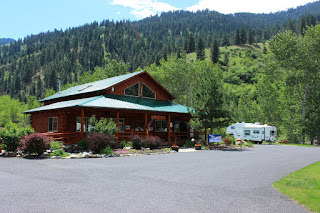 Being Memorial Day weekend, we made a reservation at Canyon Pines Campground in Pollock. 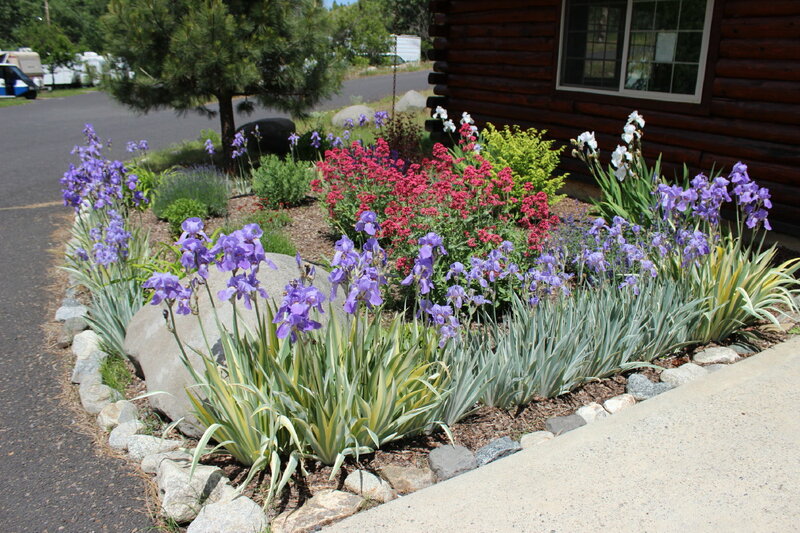 Very nice owners, doing a great job keeping this campground looking great! 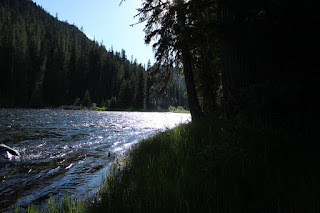 It's Memorial Day on the Little Salmon River near Riggins, Idaho. All these cars, and many, many more, are parked here to fish. And they have been catching! Large Steelhead and Salmon that they have to hold up high so they don't drag on the ground. This picture is a little fuzzy, but what a sight to see power boats riding the rapids like white water rafts. 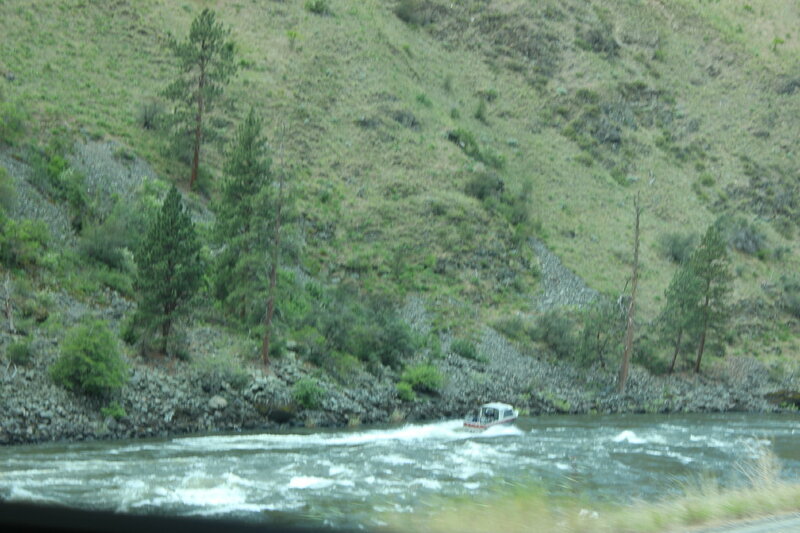 This boat sounded like it was on full power and was weaving madly to avoid rocks. Had to be quite a ride!! 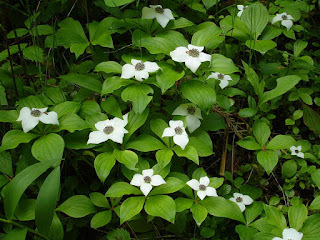 We follow Route 95 and up the mountain roads to this view of the White Bird Battlefield. 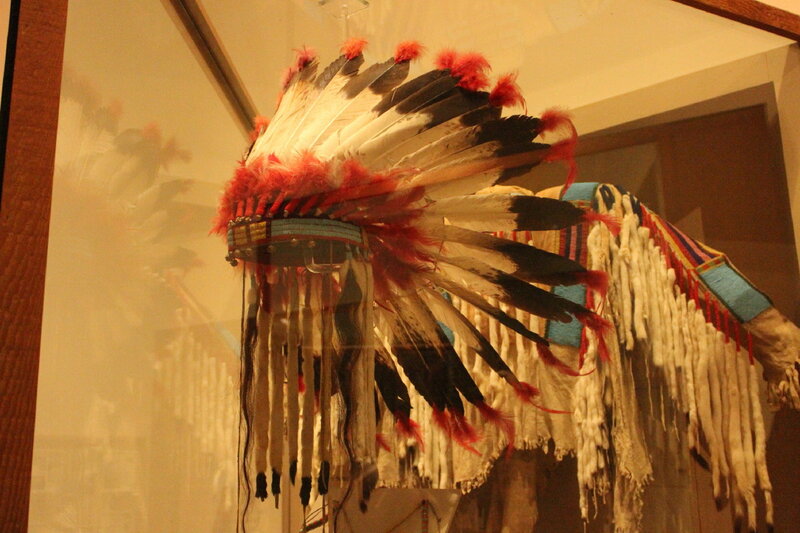 In 1877, The Nez Perce were on the right and the US troops were on the left. 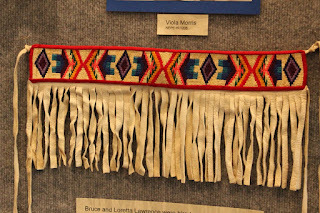 This was a result of the white settlements and the changing of treaties, and the extreme loss of land for the Nez Perce. The Nez Perce won this battle , but the US brought out many more troops and chased them to the Canadian border forcing the defeat. 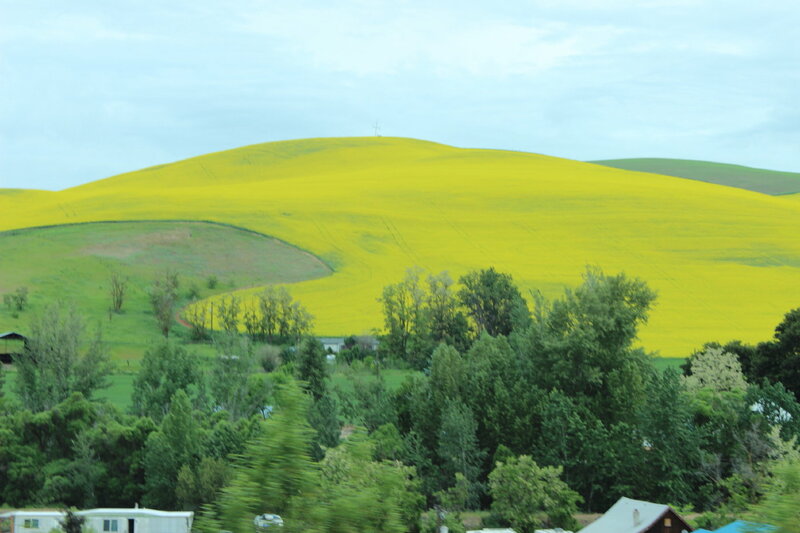 Along the way , in the fields are a number of these yellow colored plants that you see from miles away. We understand that they are fields of canola. 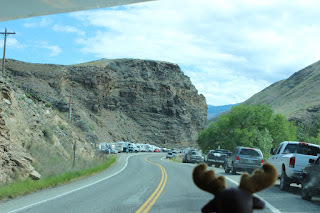 We follow Route 95 through Grangeville and to Winchester Lake State Park for one night. After the state park, we continue north along 95 . 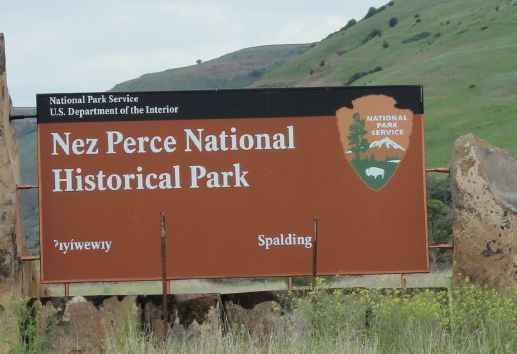 In Lewiston is this Nez Perce Park. 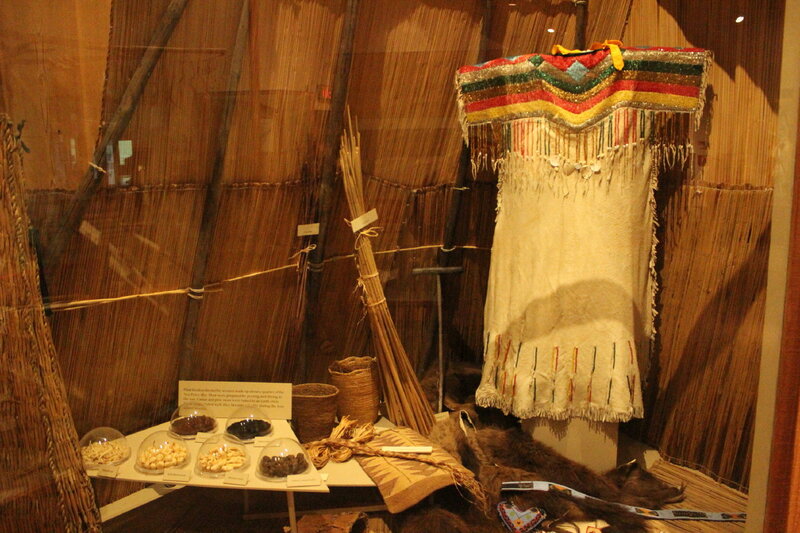 Inside the museum are some wonderful examples of Native art with everything from baskets to leather work. 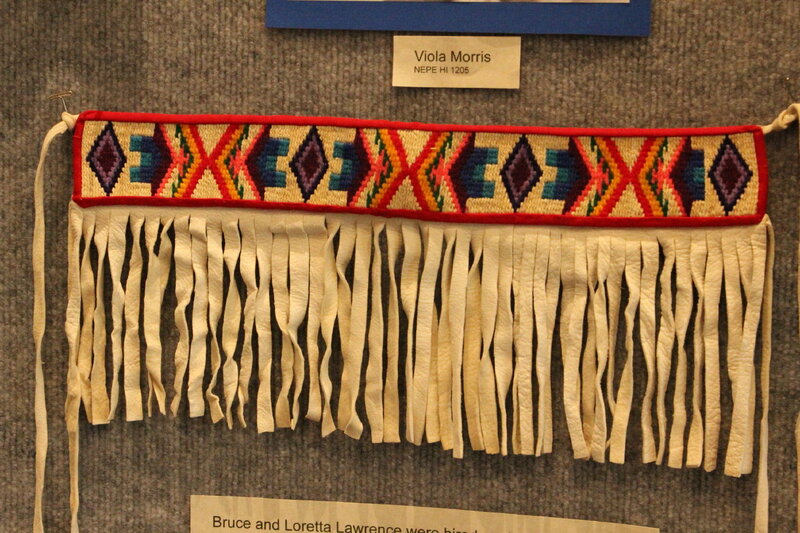 Also some impressive beadwork and headresses. Continuing towards Lewsiton, we take a right on Route 12, In Kooskia this will be called the Northwest Passage Scenic Byway and the Lewis and Clark Highway. From Lewiston, we are on the Clearwater River which flows to the Columbia and eventually the Pacific Ocean. This road is one of the most scenic of scenic highways. 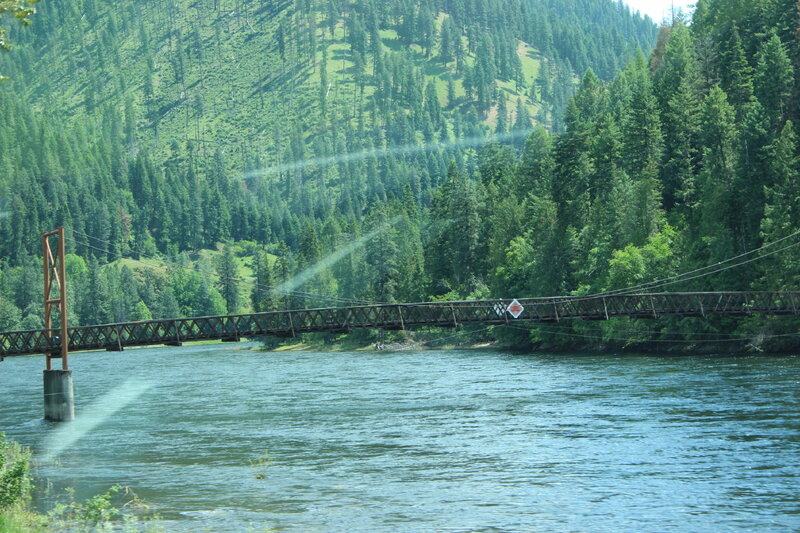 It is over 100 miles to the Lolo Pass and then to Missoula, Montana and Route 93 in the Bitterroot Valley by the Bitterroot River. 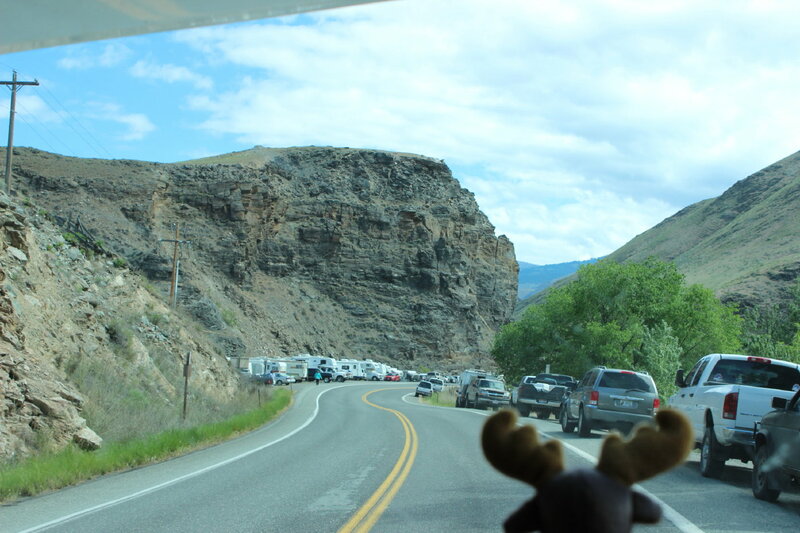 Unlike other scenic highways, this one follows right beside the river most of the way. Along the way are some beautiful homes. 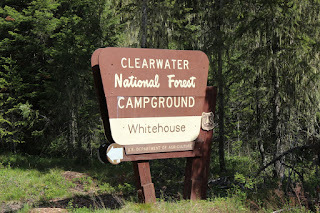 When we get into the Clearwater National Forest, the road is surrounded by trees and river only. 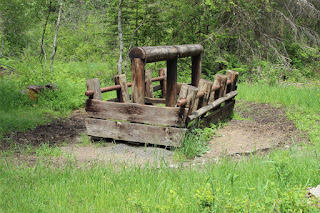 Occasionally you will see bridges like the one three pictures above that might be for hikers to access trails on the other side of the river. Once we reach the Lochsa River which travels up to Lolo Pass, we see a number of rafters. In the top picture, lower right, you see a man on a boogie type board. These, evidently, are now popular for white water rafting. Following up Route 12 alongside the Lochsa River and the Lewis and Clark Route , we stop at one of our new favorite campgrounds, Wilderness Gateway. 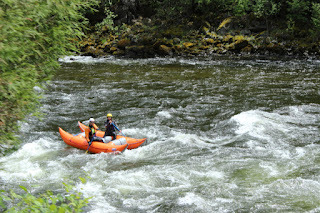 There are open sites along the river and we take the best one(we think). 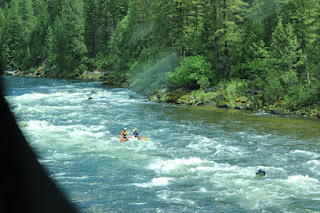 Next to us are rafters from California that spend days rafting and boogie boarding down the river. 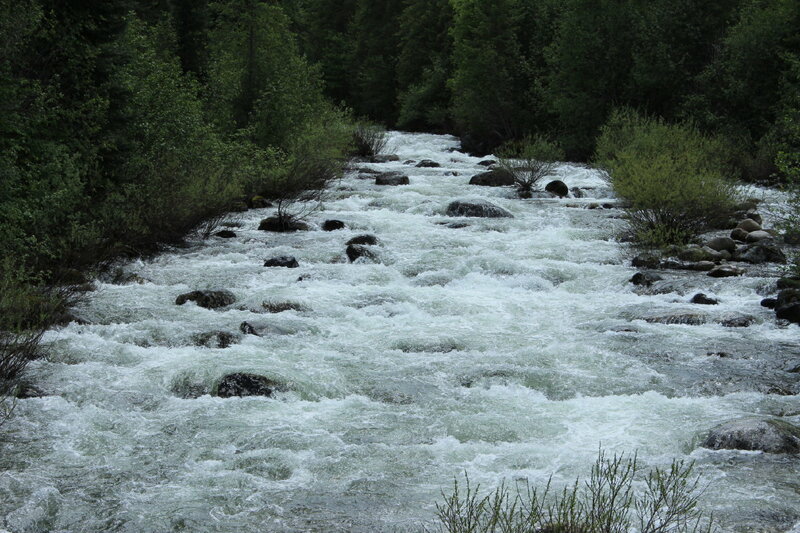 The water you see above is Boulder Creek that feeds into the Lochsa River above our campsite. 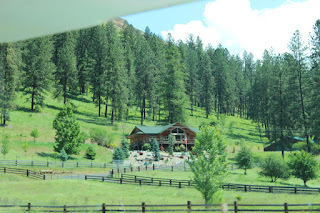 Not only is there another beautiful campground loop here(not on the water), but there is a whole other campground loop for horses. 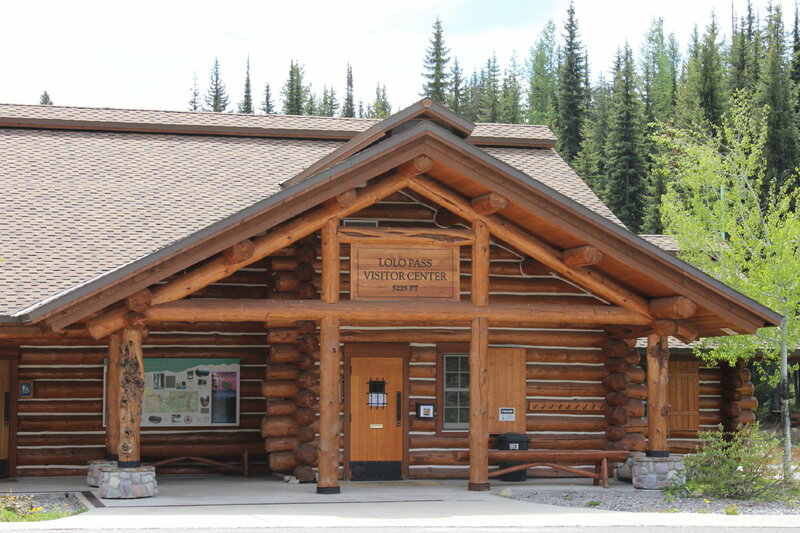 Every site has plenty of room for a truck and horse trailer. 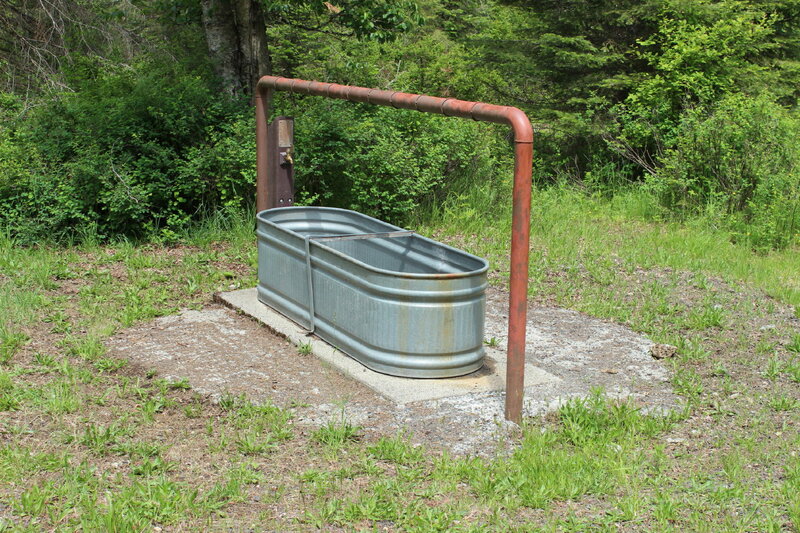 Also they provide a number of hay feeder troughs and water stations with their own faucet and a good easy working drain plug to keep the troughs clean. 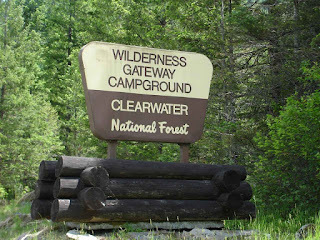 The name Wilderness Gateway refers to access to all kinds of outdoor adventures. Every day, there is a bus or transport for the white water rafters. There is also access to a large number of trails that can be fairly short, like the one where we saw these flowers, and ones that go for miles into the wilderness. We saw a group of students with guides heading out with huge backpacks. 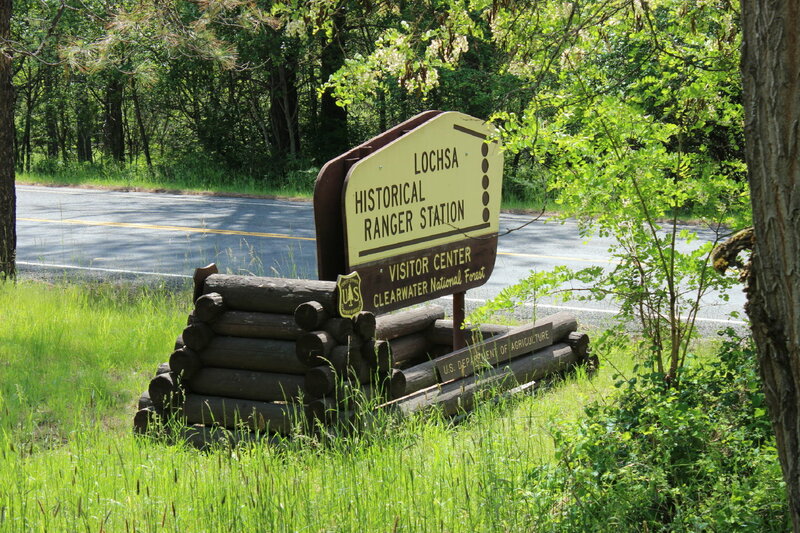 Close by the campground is the Lochsa Ranger station that was used from about 1920 to about 1960, before Route 12 was built. 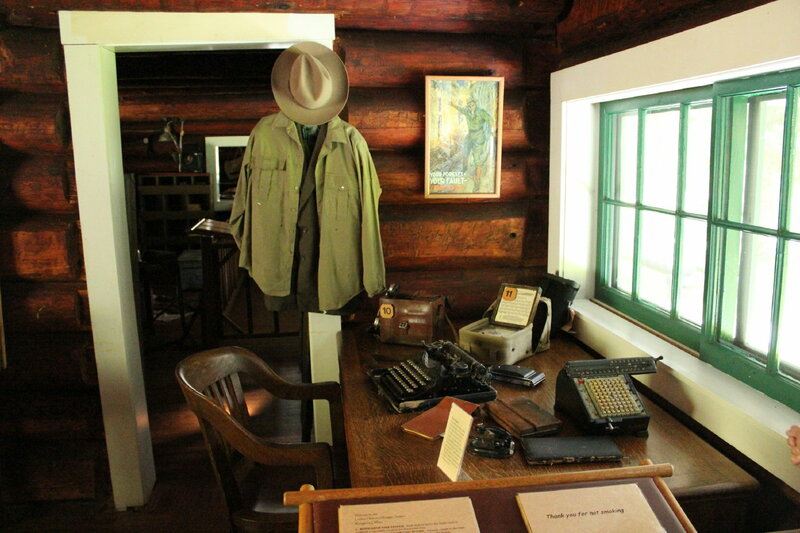 There was a necessity for rangers to man firetowers and clear fire roads in the summer months. 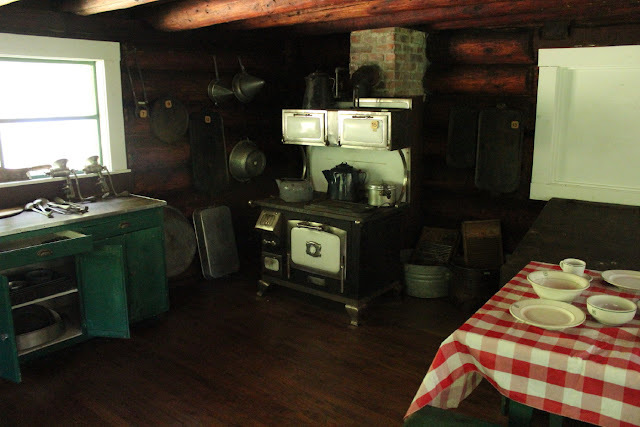 This cabin might remind you of some early cabins we knew from back in the fifties. 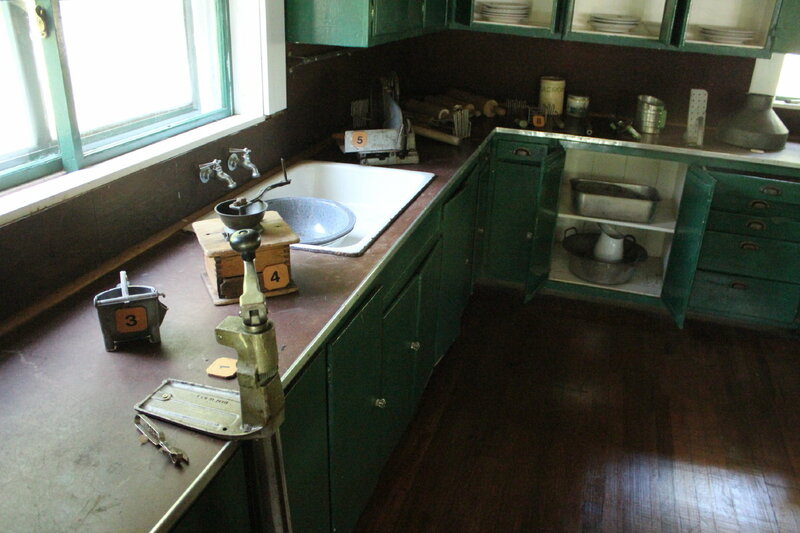 A wood stove that could do just about anything, gravity fed water , coffee grinder, and the head ranger's desk. 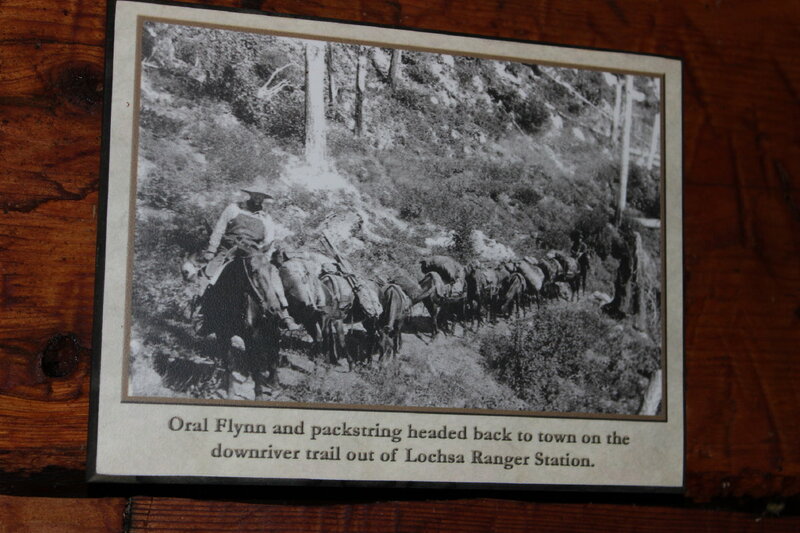 Since there was no road at the time, the rangers used a packstring of mules to haul food and construction and work supplies from the nearest town. Once at the ranger station, which had a number of buildings and a corral, the packstring would bring the needed supplies to the firetowers and the work crews. How would you like that summer job? 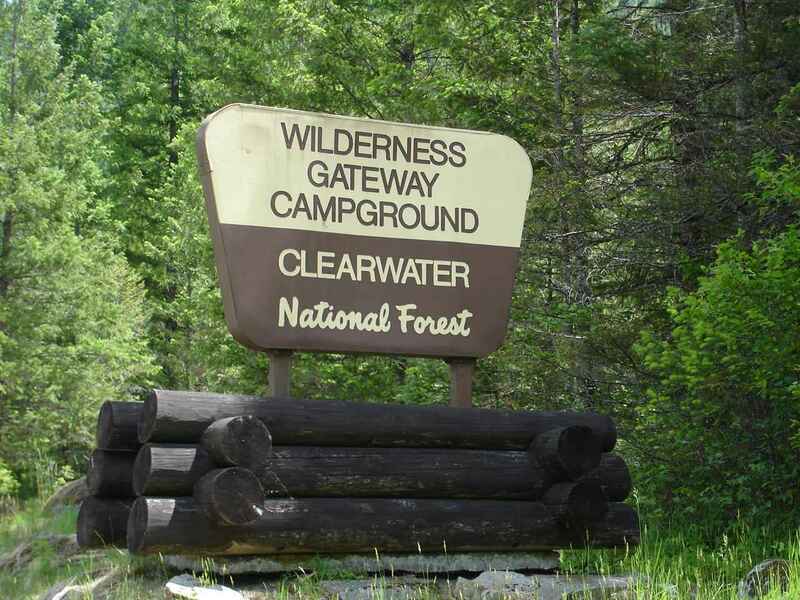 Continuing along Route 12 we find three national forest campgrounds close together. The most popular one is Powell which has a number of sites, electric hookups , and a restaurant. We looked, but we went back three miles to Whitehouse. This campground had only 11 sites, no hookups or dump station. And the water was from a handpump, but very rusty. Good thing we had plenty of water. 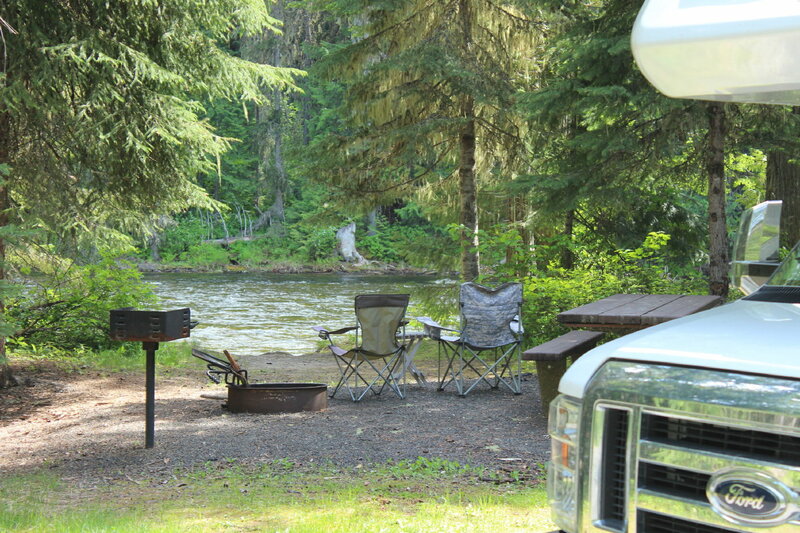 What a beautiful campsite. Large, private and right on the water. 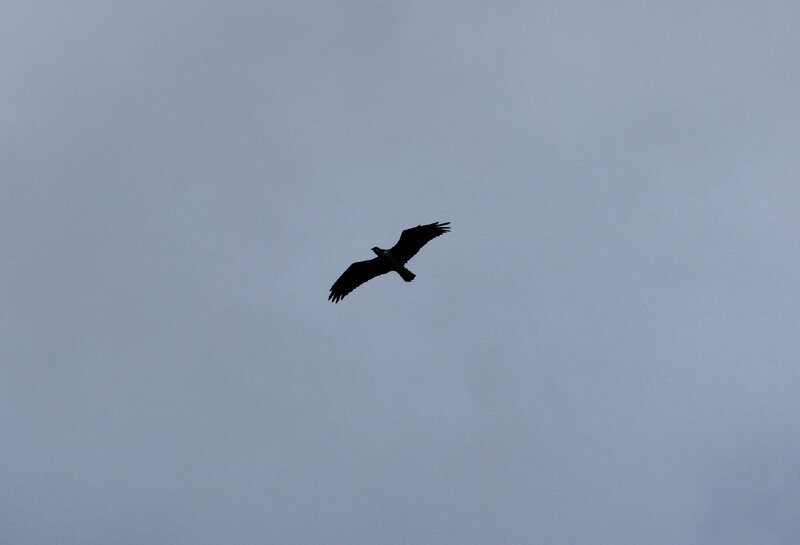 We were alone in the campground. A great spot for a wonderful campfire at $7 per night with a senior pass. 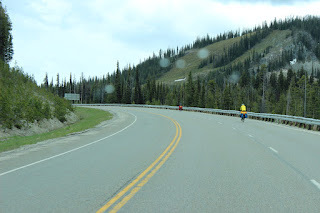 Winding along the route, we come to Lolo Pass at 5,225 feet. 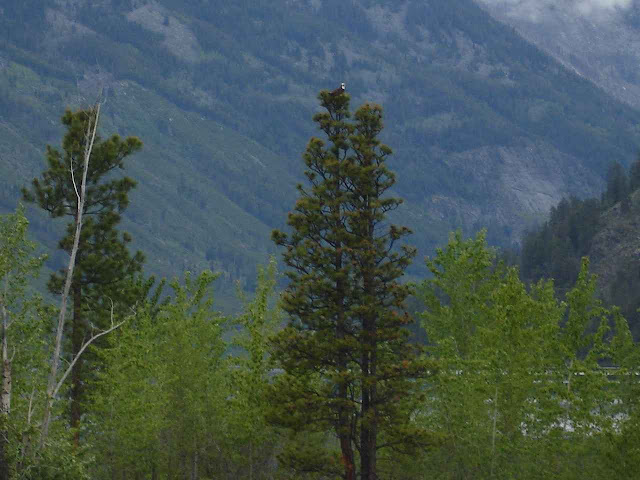 This marks the border between Idaho and Montana. 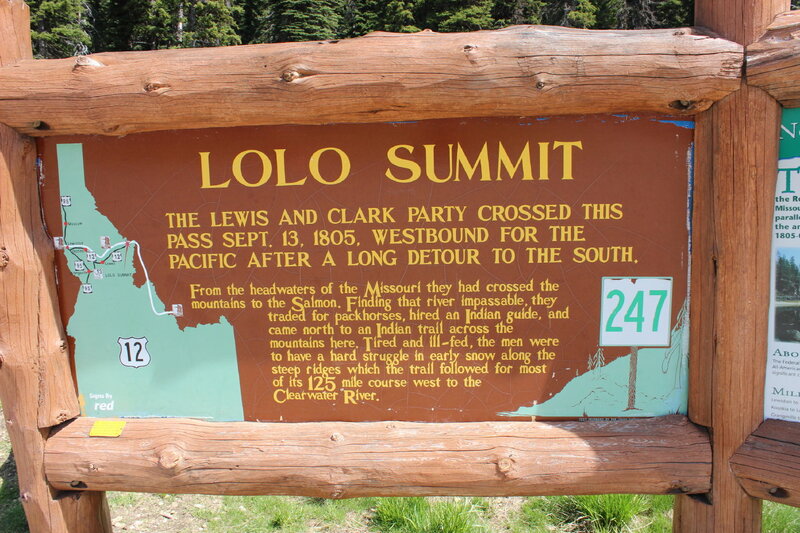 It also marks the place where Lewis and Clark, following the Bitterroot Mountains north along the the Bitterroot River, finally found a way to cross the Continental Divide. For those, like us, who forgot their junior high geography, rivers east of the Continental Divide flow east and rivers west of the Continental Divide flow west. 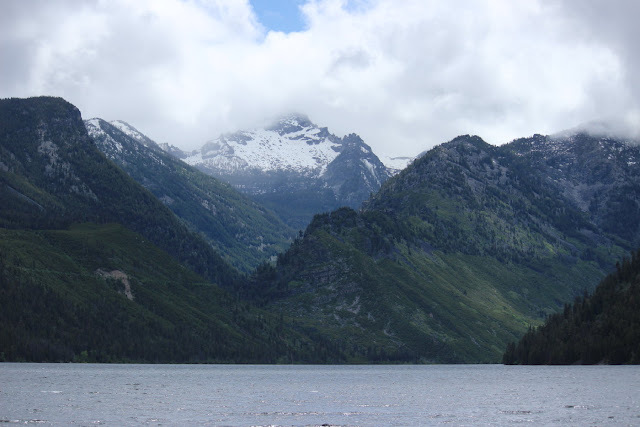 Finally, Lewis and Clark could find rivers to float down to the Columbia and the Pacific. 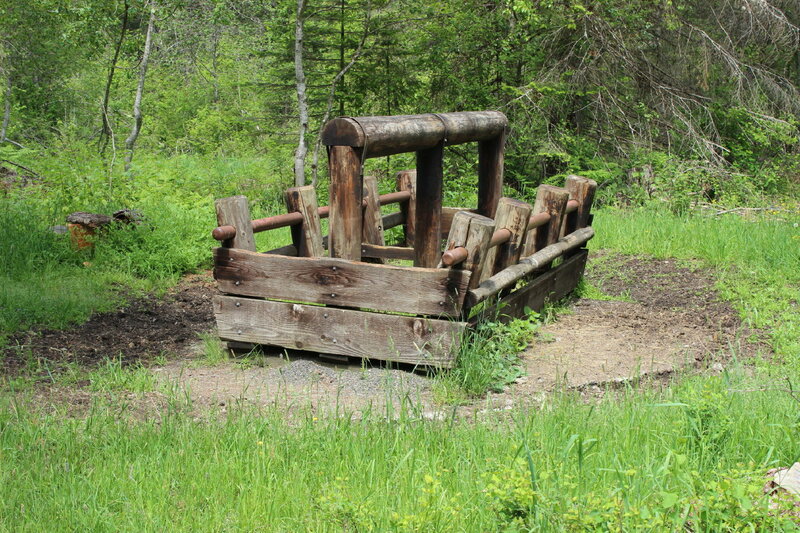 Not anywhere near that simple in 1805, but still better than pulling up rivers. 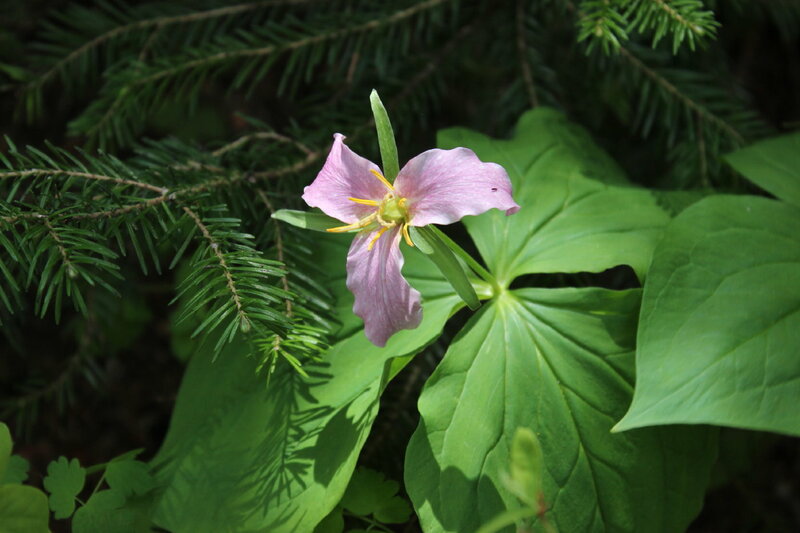 Note the pink Trillium. Now, we are on the east side of the Bitterroot Mountains in Montana, heading south on Route 93. 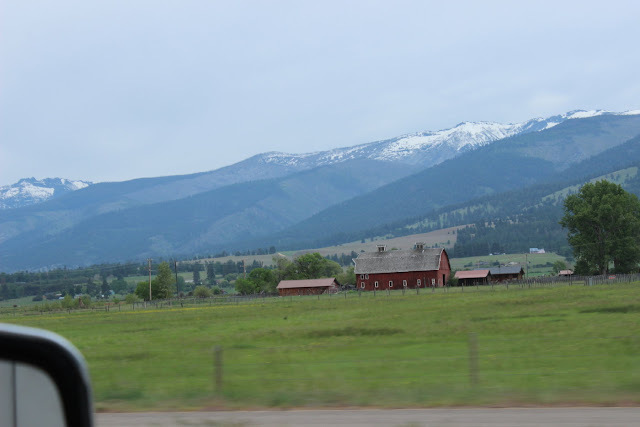 Some beautiful farms and snowcapped views. 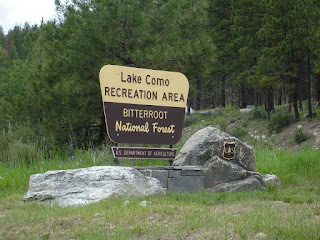 A nice opportunity sends us a short distance off Route 93 to Lake Como National Forest Campground. A large manmade lake in the wilderness with wonderful Bitterroot views. One day we watched an eagle and the next we watched a red tailed hawk. Not only that, but Jan had time to roast a very tasty whole chicken. 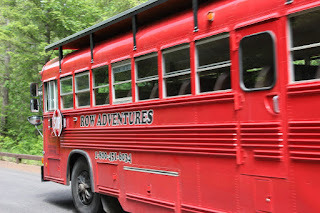 Route 93 takes us into the Bitterroots and up to Lost Trail Pass, elevation 7,014 feet. Near the peak we see out bicycle friends that we met at Wilderness Gateway. They are a couple who recently retired and are on a bike ride from Florence, Oregon to Baltimore, Maryland. We talked to them at the pass. 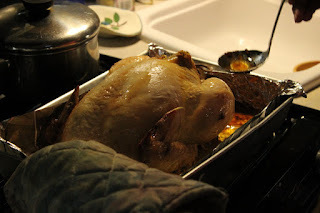 This was not the very best day. They were soaked by heavy rain and hail and were cold. 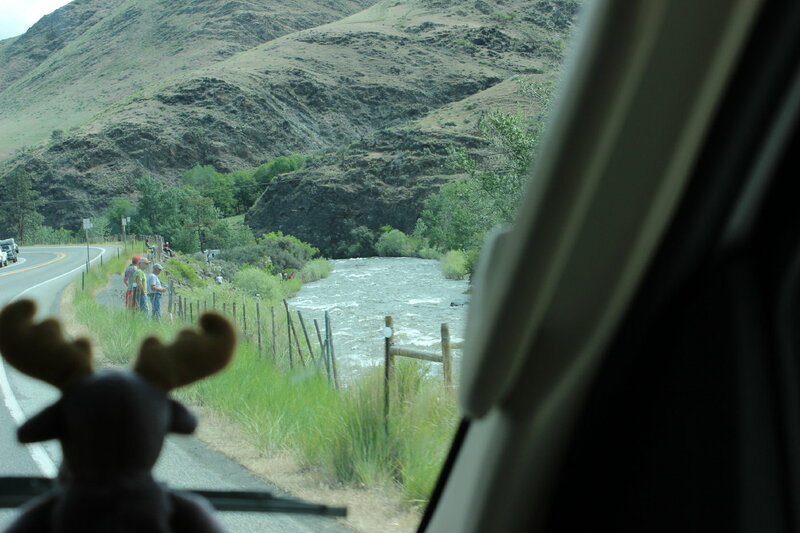 But they were looking forward to meeting some friends and were reaching the 1,000 mile mark in their trip. The bike mapping company has mapped out a route that is relatively bike friendly across the country. We are now back into Idaho and following the Salmon River.